Are you looking for a way to pray that involves your senses and keeps you attentive to God? Prayer beads offer a way to involve your hands and your heart in prayer. Kristen Vincent's A Bead and a Prayer introduces Protestant prayer beads to Christians who are brand new at praying with beads. In this eCourse, you'll learn from Kristen the history and art of using beads in prayer, how to use prayer beads in your own prayer life, and how to make your own creative beautiful prayer beads. The eCourse includes all the content of Kristen's book, audio recordings of scripture passages, and instructional video on how to make prayer beads, sample prayers, and a place to comment with other course participants. 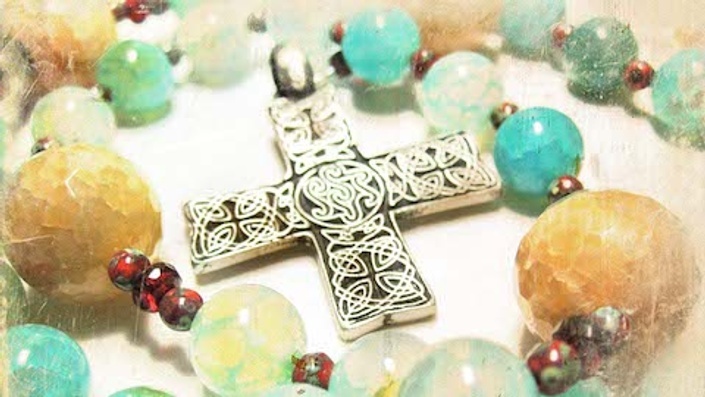 Learn how prayer beads can help you deepen your faith, understand Christian beliefs, and listen to God through this wonderful hands-on way course. Join alone or with a group of friends. To purchase a print version of A Bead and a Prayer, visit The Upper Room bookstore. 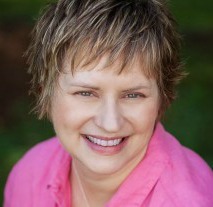 Award-winning author Kristen E. Vincent is owner and principal artisan of Prayerworks Studio, which specializes in making handcrafted prayer beads and other prayer tools. She speaks widely on prayer and prayer beads and enjoys leading retreats. A freelance writer, Vincent writes frequently for The Upper Room and is author of A Bead and a Prayer: A Beginner's Guide to Protestant Prayer Beads and coauthor of Another Bead, Another Prayer: Devotions for Protestant Prayer Beads, both published by Upper Room Books. She also maintains a blog at abeadnaprayer.wordpress.com. Kristen has a Master of Theological Studies degree from Duke Divinity School and is a graduate of the two-year Academy for Spiritual Formation (Academy #34). A native Texan, Kristen lives in Georgia with her husband, Max, a Methodist minister, and their son, Matthew. She loves dark chocolate, the Texas Hill Country, and gadgets. She remains committed to her lifelong quest for the perfect chocolate mousse.